This Sunday, I was spinning a bunch of older music again, the music that intices you to move, the stuff that dance is made of. 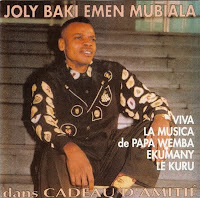 On this program, we hear from Joly Mubiala, Pepe Kalle, Choc Stars, Afrizam and more. Here are the covers of a few of the LPs and CDs sampled this afternoon. 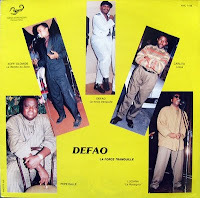 After two weeks, you may find this program along with previous editions in the Ambiance Congo Audio Archives. Just great - many thanks. Apurva from Pune, India. Thanks for the great music. 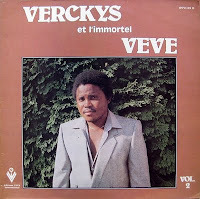 I especially liked the tracks by Ntesa Dalienst and Verckys' Véve Immortel. 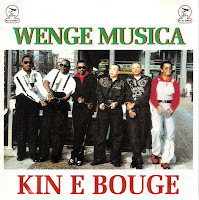 Please give us some more music by the original Orchestre Vévé, especially tracks released between 1975 and 1979. I'm aware they are hard to come by. I gather that even the great Kiamanguana Mateta didn't keep copies of his own music! I will see what I have, see what I can find.